Since I’ve been a bit MIA in 2018, I thought I’d share the top books in 2018, according to yours truly. This past year, I’ve come to LOVE Mariana Zapata’s books. She writes the best slow burn romance with hard-to-love jerkface heroes and the super relatable and quirky heroines who break down their walls. This particular title is my favorite of hers so far because of the cool setting, where the main character paints cars for a living. I’ve never read anything like it. I mean, really, did you think I wasn’t going to include this in my top books list? I love SJM and I loved Kingdom of Ash. It was a very fitting end to the Throne of Glass series. I particularly enjoyed the first half of the book, where it was all about the characters’ inner struggles and how they save themselves. There is also an epic, I mean EPIC, scene with the Thirteen that made me bawl my eyes out. I probably cried at least eight times with this novel. SJM knows how to create a hopeless situation and then something comes out of left field to save the day. So. Good. If you have not read the Illuminae Files series, you need to in 2019. This epic YA Sci-Fi is told in such a unique way with great characters, amazing battle scenes and the most touching and heart-wrenching relationships. Gah! This series had me breathless, on the edge of my seat and bawling my eyes out. It’s that good, people! This book was such a wonderful surprise! It had a badass heroine who fought with an axe. It was so inventive and original with the enemy viking tribes. I love a good enemies-to-lovers romance and this one delivered! This book really is one of the best romances of 2018. I read it because I saw that SJM recommended it during an interview, and it did not disappoint. I could not put this book down. It was addictive and compelling and sweet and steamy and ALL THE THINGS! Just read it! Anyone who needs a good Rhysand fix (from ACOTAR) needs to read The Bargainer series by Laura Thalassa. Her world of Fae is unique filled with danger and desire. I love that her heroines are always snarky and her heroes are always too alpha for their own good. I loved this series and can’t wait to read more of her work. It wouldn’t be 2018 if I didn’t mention Children of Blood and Bone by Tomi Adeyemi. 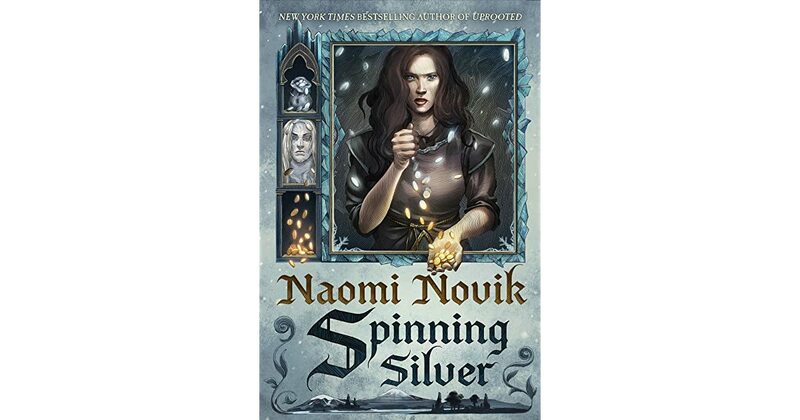 This YA Fantasy took readers by storm and I thought it was magnificent. It has everything I love in a YA Fantasy, including gladiator-style fights to the death. Today is my blogoversary! SEVEN YEARS! I have been blogging for seven years! Read what I want to read. I read whatever I wanted when I wanted and not having the pressure to blog really made reading more fun for a while. However, my blog suffered because I was too busy reading to write. Participate in Top Ten Tuesday…sometimes. I don’t think I did a single top ten Tuesday last year. I wanted to do it but it just never happened. I started querying this year! No bites yet but I’ve at least begun the process. Plus, I met my goal of having one of my manuscripts query ready by the time I had my first child in October. But once I had her…things kind of came to a screeching halt. I’ll query more this year. This didn’t happen. I didn’t even try really. I’m too busy reading to request galleys, and to be honest, ARCs are a lot of pressure to read and review in a timely manner and I didn’t really want deadlines this year. For 2018, it was a 50/50 split. I’m going to look at it as if the glass is half full…so go me. And what about 2019? What resolutions do I have in store? Keep up with my goodreads. Last year, I forgot to log a lot of the books I read and now I’ve forgotten what I’ve read. *sigh* This year, I want to log each book as I’m reading and leave a short mini review so I remember what I thought about it to help me with writing full length reviews. Read out of my comfort zone. A little while back, I started a book club to read outside my comfort zone and it’s been a great experience to read things I never would have picked up on my own. I want to do more of that but with me picking the titles that aren’t necessarily my go-to genres. Go to a writing/book conference. I don’t know if this will happen with a newborn, but I’d love to go to another book-related conference this year, even if it’s a writing retreat to meet other writers. Decide if I want to keep blogging. I’ve recently had a baby and I’ve been struggling to keep up with blogging. I still read and want to write reviews but I don’t know when I’ll have the time to get it all done. Do any of you other book blogging mamas have any advice? As a Public Relations professional, I’m always hesitant to share too much personal information about myself outside of my personal social media platforms; however, I think you guys would appreciate my book-inspired baby announcement. Can you guess the book? It’s A Court of Frost and Starlight by Sarah J. Maas (my absolute favorite author, of course) and *SPOILER ALERT* it’s the scene where Feyre tells Rhys she wants to have a baby! I thought it was quite clever myself. However, my husband, who doesn’t share my love of the written word, didn’t quite understand my choice or the fangirling that ensued from my book-loving friends. Since I found out I was pregnant, it also lit a fire under me about getting published, so I’ve spent every spare moment revising my manuscript, drafting version after version of queries and doing research on agents. I apologize I’ve been MIA in the blogging world, but I’ve still been reading my little heart out. It’s been nice to not have the pressure to write reviews and read what I want to read without worrying about it being a new title or re-reading an old favorite *cough* Harry Potter *cough*. My life is taking a drastic turn with a new baby, and I may be off and on for a few more months, but I plan to be back in action come 2019. In the meantime, I’ll still be reading everyone’s posts (I have to stay up to date on what to add to my TBR! ), and thank you all for reading. Hello internet! My apologies for being MIA all last month. But I’m back! I thought I’d share what I’ve been up to during my hiatus. 1. Re-reading the ACOTAR series in anticipation for A Court of Frost and Starlight. This shouldn’t be a surprise to anyone. I’ve only ever re-read one series and it’s this one and it’s just as good every. single. time. Can’t wait to read ACOFAS. 2. Critiquing fellow writer’s manuscripts. I participated in #CPmatch again on twitter and matched with some pretty cool writers to swap manuscripts for a critique. It’s been super, super helpful for me and I hope I’ve been helpful to them. But it’s taken up a majority of my free time. 3. Presented at a PRSA Conference in North Carolina on Communication Planning. This is the best picture I have of me and it kind of looks like I’m about to start dancing, but it’s mostly because I talk with my hands and most of the other shots were blurry. I’m a communications professional by day, and it was a huge honor to present at this conference. It’s also great for my career, but it ate up a lot of my time and attention. 4. Re-doubled my efforts to start querying. This is me. Trying to find an agent so I can meet my goal of being published one day. It’s an overwhelming process. Wish me luck! 5. Bought a whole lot of books! I didn’t read as much as I usually do, and I surely didn’t write any blog posts, but I definitely bought a ton of new books to read. Hopefully this will encourage some great reviews in the near future! It’s Tuesday! The wonderful day that books are released to the world. Seventeen-year-old Eve isn’t looking for trouble–she’s too busy looking over her shoulder. The robot gladiator she spent months building has been reduced to a smoking wreck, she’s on the local gangster’s wanted list, and the only thing keeping her grandpa alive is the money she just lost to the bookies. Worst of all, she’s discovered she can somehow destroy machines with the power of her mind, and a bunch of puritanical fanatics are building a coffin her size because of it. If she’s ever had a worse day, Eve can’t remember it. The problem is, Eve has had a worse day–one that lingers in her nightmares and the cybernetic implant where her memories used to be. Her discovery of a handsome android named Ezekiel–called a “Lifelike” because they resemble humans–will bring her world crashing down and make her question whether her entire life is a lie. With her best friend Lemon Fresh and her robotic sidekick Cricket in tow, Eve will trek across deserts of glass, battle unkillable bots, and infiltrate towering megacities to save the ones she loves… and learn the truth about the bloody secrets of her past. Let me just start with: I LOVE JAY KRISTOFF! HE’S AN EFFIN’ MASTER. Now that I’ve gotten that off my chest, let me tell you why this new book sounds amazing. I like sci-fi, particularly with Jay Kristoff at the helm, and I’ve always been fascinated with the idea of artificial intelligence and whether or not a robot can feel emotions. Throw in a “handsome android” that’s basically illegal/forbidden and a girl with a rough past being pursed by bad guys and that’s a recipe for a hella good narrative. Looking forward to this one. Can we talk about how no one hit me over the head with this brilliant book when it first came out to get me to read it? With the upcoming release in March of Obsidio, the third book in the Illuminae Files series, I had to get into this series. Wow, Illuminae by Jay Kristoff and Amie Kaufman lives up to all the hype and more. Illuminae is unlike any other reading experience I’ve ever had. The story is told in recovered documents and correspondence from an incident deep in the galaxy involving a fleet of ships ferrying refugees after an attack on a faraway planet, a pursuing battleship and an out-of-its-mind Artificial Intelligence. I thought the removed perspective from the main characters would make it difficult to get into the story and feel what the characters feel, but I couldn’t have been more wrong. I can’t get over the way these authors used text, graphics and white space to tell one of the most compelling in-space battle scenes I’ve ever read. The text was arranged in a way that it looked like fighter ships flying around shooting each other. You guys, I CRIED. I had big ol’ tears pouring down my face from the death throes and last words of fighter pilots, which was only made worse – or more impactful – by the way the text was arranged. It was heart-wrenching. My heart wouldn’t stop pounding and it was just so. Frickin. Good. In addition to all the feels, including the gut-punching terror, soul-crushing why-god-why events and edge-of-your-seat anticipation, this book was also hilarious. The main characters, Kady and Ezra, were so funny – the kind of sarcastic people that love gallows humor and can lighten any life-or-death situation with a well-timed joke. If you like YA Sci-fi at all, this is the book for you. My mind is completely blown. There is brain matter dripping down my walls as we speak. YOU HAVE TO READ THIS! Today, I’m anticipating the release of Sky in the Deep by Adrienne Young, which will be released on Tuesday, April 24, 2018. I love warrior women in my fantasy, and I’m particularly looking forward to the world-building with this one. The idea of fighting “clansmen” is more primitive than the typical YA fantasy and I can’t wait to see what it all entails. Plus, I’m all about the enemies-to-lovers trope, so I’m preparing the Eelyn/Fiske ship as we speak.